Santa Claus is coming to Champaign-Urbana! We list local places where your child can see him and ensure their spot on the nice list this year. 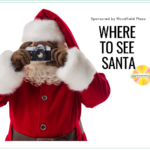 Our Champaign-Urbana Santa series is sponsored by Woodfield Plaza in Savoy. 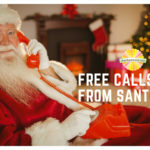 If your child would like a phone call from Santa or a letter from the North Pole, check out what some local places are offering this holiday season. Sponsored by Woodfield Plaza.